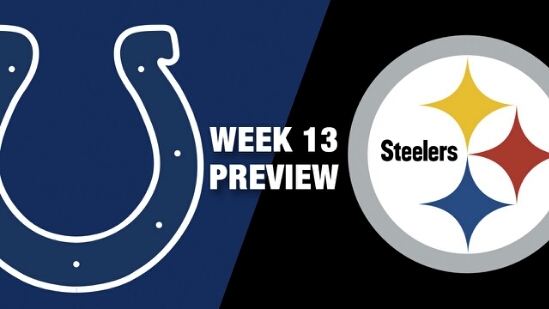 Week 13 Colts @ Steelers Preview and Prediction | "IT'S A STEELERS WORLD"! Correct me if I am wrong, but the only thing I see as the Pittsburgh Steelers achilles heel is corner, Antwon Blake. And he is definitely going to have to step up his game if the Steelers plan on walking away with a win this Sunday night against the Indianapolis Colts. Never do I like to place blame on one single player in a team driven sport, but “C’Mon Man”..Blake has been repeatedly abused all year long with the exception of maybe a game or two. Something that can no longer take place. Indianapolis comes into the game with Matt Hasselbeck as their starting quarterback. A quarterback that not only knows the Steelers on a personal level, but a backup quarterback that is on fire as of late. One that is very familiar with how to expose the weakest link. And believe me, Hasselbeck will pick on Blake any chance he can get. Sure,I can throw out that the Steelers lead the series history 21 to the Colts 6, but as we all well know history means nothing in the National Football League. What means something is Hasselbeck completed 26 of 42 passes for 315 yards and two touchdowns Sunday against the Buccaneers. He connected with eight different receivers, as the Bucs did a great job shutting down the Colts’ ground game, with Indianapolis rushing 26 times for 27 yards. Hasselbeck focused on his two top wideouts, as T.Y. Hilton caught half of his 12 targets for 95 yards and two touchdowns, while Donte Moncrief had eight catches for 114 yards. It was the third consecutive game that Hasselbeck has thrown for multiple touchdowns, and he’ll look to extend his streak in Week 13 against the Steelers, who are allowing the fifth-most passing yards per game this season (12th-highest YPA allowed). That’s where Blake and the rest of the Steelers secondary come into play. I single out Antwon because he is constantly used by every single quarterback he has gone against in one way or another. Even though last Sunday I placed blame on Mike Tomlin and the coaching staff for ill play calling, the Steelers were still in the game and had the opportunity to win several times. That was until Antwon Blake was exposed too many times to count, giving the Seattle Seahawks a 39-32 win. Long story short, Blake has got to step it up..or Tomlin needs to put cheaply acquired yet never used, Brandon Boykin in the game. Because it is “Crunch Time”..both the Steelers and the Colts are 6-5..im the hunt with wild card potential. I believe Blake not only needs to..but will get targeted so much that he will make a statement play or two.